Eastern Europe’s growth continues to be hampered by the sluggish performance in the eurozone. Indeed, despite positive growth signs in the second quarter of this year in the eurozone (after a record 18 month-low, quarter two’s GDP growth was 0.3 per cent), latest quarterly figures show growth has fallen again to just 0.1 per cent. This fragile growth has contributed to the European Bank for Reconstruction and Development (EBRD) cutting its 2014 growth estimates for central and Eastern Europe. Even so, growth is expected to be 2.8 per cent – more than 2 and a half times that of the eurozone, at 1.1 per cent. With Eastern Europe continuing to outperform the west therefore – and with its importance as both part of the EU and a partner to the EU increasing – it continues to provide significant opportunities for companies considering cross-border expansion. Yet economic uncertainty persists globally, and corporates in western Europe remain wary of the heightened levels of risk associated with trade. With political unrest also affecting parts of Eastern Europe, barriers to trade between the regions are evident. It is therefore imperative that financial institutions (FIs) provide support to corporates through effective risk mitigation methods; ensuring existing trading relationships remain strong and positioning themselves to capitalise on the upcoming opportunities. And partnering with a correspondent banking partner could be the answer. Of course, Eastern Europe is not homogenous and performance (and risk) varies across the region. On the whole – as with the EU – the north is performing better than the south. Certainly, the Baltic region is flourishing. Latvia was declared the fastest-growing EU economy for a second consecutive year in 2012 with GDP growth of 5.6 per cent, and it has continued to perform well in 2013. And trade between Latvia and western Europe is set to be strengthened when it adopts the euro and becomes the eighteenth eurozone member in January; a move anticipated to increase trade with common currency countries. This trend was evidenced in Estonia, when, after joining the eurozone in 2011, its economy grew by 7.6 per cent, with annual exports and imports soaring by 38 and 37 per cent respectively. Of course, the key advantage for corporates will be lower trade costs — with foreign exchange hedging requirements eradicated. Further fuelling trading opportunities in the Baltic States is the proposed construction of Rail Baltica – a new trans-European railway. This freight transport connection would provide a vital link between the Baltics and Central and Western Europe, improving trading routes and therefore trading prospects between the cities and regions. And despite recently abandoning plans to sign a free trade agreement with the EU, speculation remains with regards to Ukraine’s future. As it stands, while the Ukraine has suspended EU negotiations, it has not accepted membership with Russia’s Customs Union, nor has it completely closed the door with Europe. Ukraine’s economy has been shrinking for 11 consecutive months and the EU agreement would expand Ukraine’s access to the European market and encourage further European investment; also enabling corporates in the EU to benefit from eliminated or reduced trading tariffs and possible price advantages. When and if these developments come to fruition, a range of new trading opportunities will be presented to western European corporates. While these trading opportunities are apparent, navigating the risks is less straightforward. Despite the overall trading relationship remaining healthy between east and west, the slower growth in Eastern Europe has led to western corporate trading in the region becoming more “country-selective”. For example, there is a reluctance to invest in lesser-performing countries (and particularly those experiencing political problems) – such as Hungary, Bulgaria and the Czech Republic. These altered trading conditions in Eastern Europe have resulted in heightened risk mitigation, with letters of credit (LCs) – which provide a definite payment undertaking from the issuing bank, along with a confirmation from the corresponding bank –becoming particularly prevalent. In fact, LCs are now being used in countries that were previously used to trading on open account (such as Poland, which has so far managed to avoid the recession altogether). Yet LCs are just one means of mitigation. There is a broad range of tools that can be used to protect clients from trade associated risk; for example collections and guarantees (such as bid bonds, advance payment guarantees and delivery or performance bonds). Which tool is most appropriate is, of course, dependent upon the trade tenor, product and the rating of the country and company involved in the trade. With this in mind, it is vital that corporates are able to rely on their bank to provide the practical reassurance and guidance regarding risk mitigation that is needed to realise the opportunities that Eastern Europe has to offer. It is therefore crucial that FIs are prepared with the experience, local knowledge and technology capabilities to fulfil these requirements. But mitigating risk requires more than simply sophisticated technology solutions and transaction expertise – it also requires on-the-ground presence and in-depth local knowledge. In this respect, the most complete solution may be an effective correspondent banking relationship between a local bank and a global bank. Correspondent banking networks are a formidable force that can ensure corporates are equipped to navigate the western-Eastern European trading corridor. Such networks of banks can generate risk mitigation structures – such as LCs, issued and confirmed by the banks of the trading parties. By selecting the right banking partner for a correspondent banking relationship, not only can risk mitigation be addressed; banks themselves can benefit. Local banks, which can take advantage of increased liquidity and capital assistance, are able to reduce their borrowing requirements on the international money markets. They are also able to provide streamlined trade processing for their local corporate clients via the global bank’s facilities, without having to invest in the technology themselves. For instance, a correspondent banking relationship with Commerzbank would allow access to 18 hour day document processing (made possible through the investment into two trade processing centres – one in Poland, one in Malaysia – which bridges the time difference and enables European trades to be processed outside normal working hours). An additional benefit for local banks is that global banks participating in a correspondent banking relationship would not be competing with local banks for corporate business in their local markets. Certainly, a competent partnership between FIs and global banks – combining the understanding of local nuances and trends with first-rate products and capabilities – can support the existing fruitful export/import trade, as well as the potentially extensive growth opportunities that are evolving in Eastern Europe. Per Fischer is head of financial institutions CEE, Russia, CIS, Baltics and Turkey at Commerzbank – a position he has held for ten years. Since joining the bank in 1985 his career has focused on these regions and has included roles such as deputy representative for Moscow and Kiev and area manager for CIS, Baltic States and Mongolia. 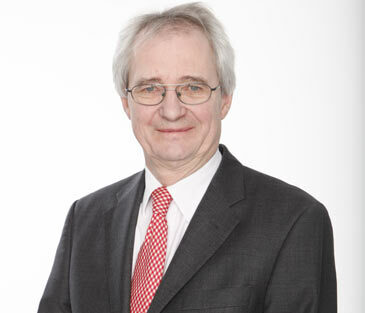 In addition, Per Fischer is deputy chairman of the board of the German Kazakh Society; a member of the board of the German-Ukrainian forum and the German-Russian forum; and a member of the supervisory board of Commerzbank Eurasija.